Punhal Sario had been active in organising campaigns to raise awareness of the missing persons crisis in Sindh when he became the subject of an enforced disappearance. Following several petitions and protests organised by fellow human rights defenders, he has been released and is believed to be in stable physical and mental conditions. His case has raised international condemnation of the alarming number of enforced disappearances by Pakistani officials in the Sindh region. Human rights activist and campaigner for missing persons Punhal Sario, who was himself allegedly subjected to enforced disappearance, returned to his home in Hyderabad on Wednesday. Sario was allegedly whisked away by the police and other law enforcement agencies on August 3 from the road outside Sindh Museum. His family filed a petition in the Sindh High Court in Karachi and later an FIR was also registered on September 21 at the GOR police station in Hyderabad on the complaint of Sario’s wife Sughra under sections 365 and 34 of Pakistan Penal Code. According to the FIR, around 15 personnel in the uniforms of police commandos stopped the car in which Sario was returning from an event and forced him into a Toyota Vigo. Sario’s family said he was dropped off by unknown men near the Kotri Barrage bridge. Sario, who heads the Sindh Hari Porhiyat Council [Sindh Peasants Labourers’ Council] led a campaign for missing persons. He is said to be physically fine and completely in his senses. He marched on foot along with the families of some missing persons from Hyderabad to Karachi to raise their voices for their release. 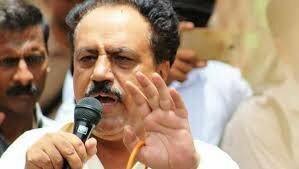 His disappearance drew condemnation from human rights activist who staged protests in many cities of Sindh including Karachi and Hyderabad.